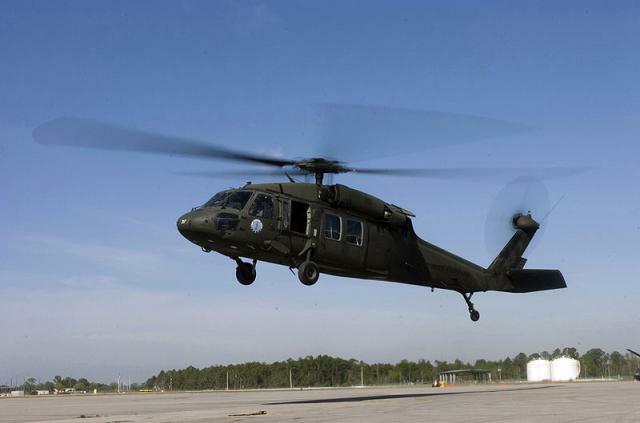 The United States Army’s Utility Helicopters Project Office (UHPO) had planned an upgrade of the Flight Management System (FMS) software for their Sikorsky UH-60M and HH-60M Black Hawk (H-60M) helicopters, in order to meet Federal Aviation Administration (FAA) and International Civil Aviation Organization (ICAO) standards on Required Navigation Performance for Area Navigation (RNAV RNP). The UHPO needed to obtain compliance for RNP RNAV navigation in order for the H-60M helicopters to fly the next-generation airspace and procedures, and they were required to get certification using data in the Digital Aeronautical Flight Information File (DAFIF®) format. To prepare for the RNP RNAV FAA certification flight tests, the UHPO tested the FMS software and data in the Software Integration Laboratory (SIL) located in Redstone Arsenal, Alabama. These SIL tests were designed to uncover potential problems with the implementation of the updated FMS software, the draft DAFIF specification, and the RNAV RNP requirements. Since the FMS software development schedule was preceding the development of the mission planning software, and the DAFIF® 8.1 specification was in draft form with minimal test data available in the Redstone Arsenal area, the UHPO requested the development of a DAFIF® 8.1 compatible flight plan data file for the SIL and flight tests. The flight plan data file used in the H-60M Flight Management System requires Digital Aeronautical Flight Information Files (DAFIF®) as published by the National Geospatial-intelligence Agency (NGA). However, since some of the needed data was not available from DAFIF, AeroNavData constructed additional files from FAA certified data sources for inclusion in the FMS. The data was delivered, in tab-delimited format, via suitable digital transfer media. As any conversion from Tab Delimited to system compatible binary format is the responsibility of the government, AeroNavData was provided the Aviation Mission Planning System (AMPS) Interface Control Document (ICD) to accomplish this task for our customer. The ICD was used to establish correct directories and file names compatible with the UH-60M Aviation Mission Planning System (AMPS), and to ensure data correlates with the systems attribute characteristics. AeroNavData developed IAW DI-MCCR-80700 and delivered IAW CDRL XX01 one ARINC 424 Standard Flight Plan data file in accordance with the standard DAFIF 8.1 cycle. The Flight Plan file contents contained the FAA published approach procedures for Huntsville International Airport (HSV), Madison County Airport (MDQ) and Redstone Army Airfield (HUA), as well as 23 FAA leg types as defined in ARINC 424-19. Those leg types which were not part of a published approach were configured as a Standard Instrument Departure (SID) and Standard Terminal Arrival (STAR). In support of the US Army UHPO’s compliance with FAA and ICAO’s RNP RNAV standards, AeroNavData created flight plan data files that are useable in the Sikorsky UH-60M and HH-60M Black Hawk helicopter and in the SIL and flight tests, are compatible with the draft DAFIF 8.1 specification, and contained all the RNP RNAV procedure requirements within a close proximity to the Redstone Arsenal airport.